We’re excited to welcome the wonderful Glanko & Daniel Bailey to the Hidden Shoal family. The pair collaborated on the sublime forthcoming EP Isometrik, which will see release through Hidden Shoal on 5th May 2016 and is now available as part of the Hidden Shoal licensing catalogue. Glanko & Daniel Bailey create music at the intersection of soundscape and song, where field recordings and loops play as important a role as piano and guitar. Their debut Isometrik EP is evidence of the kind of alchemy that can only be conjured when two creative minds are perfectly in tune. Rich with textural counterpoint, these brooding yet innately melodic pieces envelope the listener with their intensity and grace. Glanko and Daniel Bailey are old friends who have walked different artistic paths. Glanko has been an IDM/glitch/industrial producer since 2012, while Daniel Bailey has been a singer, guitarist and songwriter in various alternative rock bands, and is also working on a solo project. 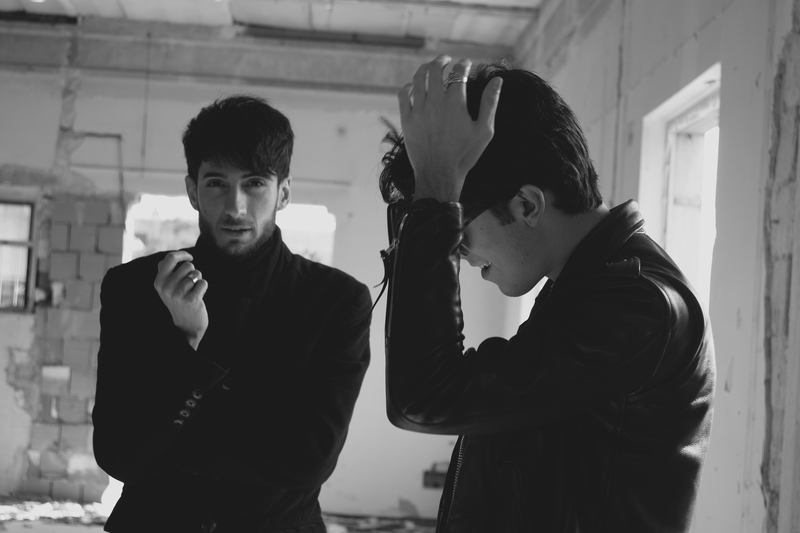 Their collaboration began in Italy in December 2015, mainly focused on experimentation and combining their unique sensibilities. The result is the Isometrik EP, conceived and recorded during a short stay in Monti Picentini, Italy. Glanko & Daniel Bailey “Isometrik” EP Out Now!